Aidan's party was Saturday and after last year's Mario party I decided to keep it simple -- no fancy tables or stripey straws or buntings. Party planning is not my forte, and if I were to make buntings or themed food it would be for adults, not seven year old boys. This new philosophy makes me happy. 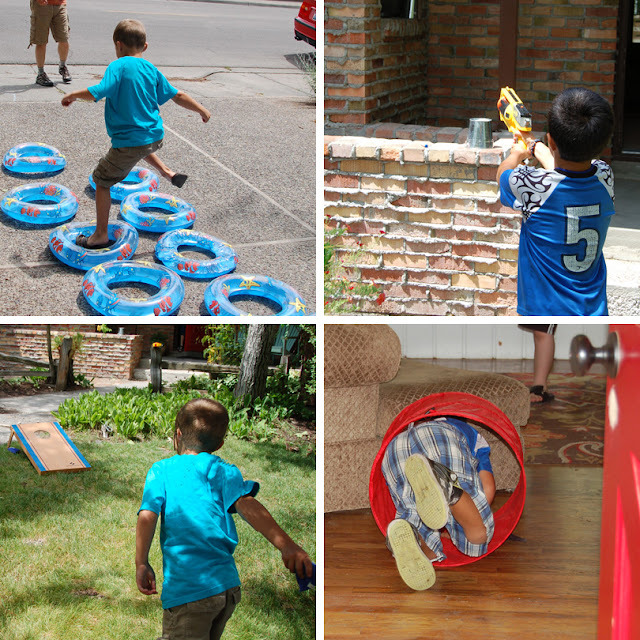 Then the kids ran out through the garage and through the tire course (Dollar store swim rings), then practiced their grenade throwing accuracy (beanbags) before shooting Nerf darts onto targets and crawling through a tunnel to the finish line. 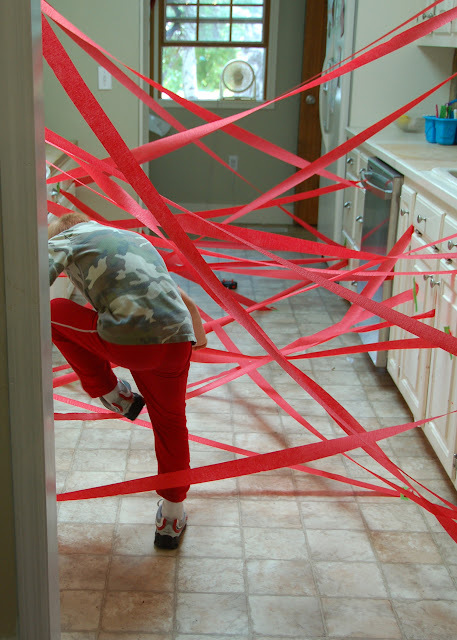 Lesson learned: boys like obstacle courses. 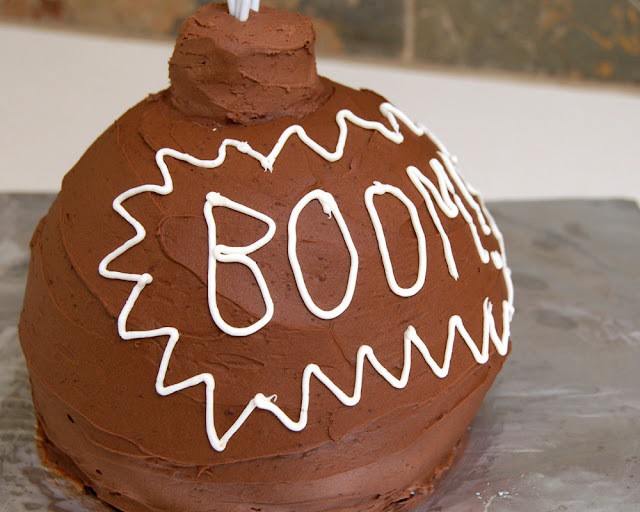 I made a bomb cake using a batter bowl and chocolate frosting (plus a frosted brownie bite on top + sparkler candles). 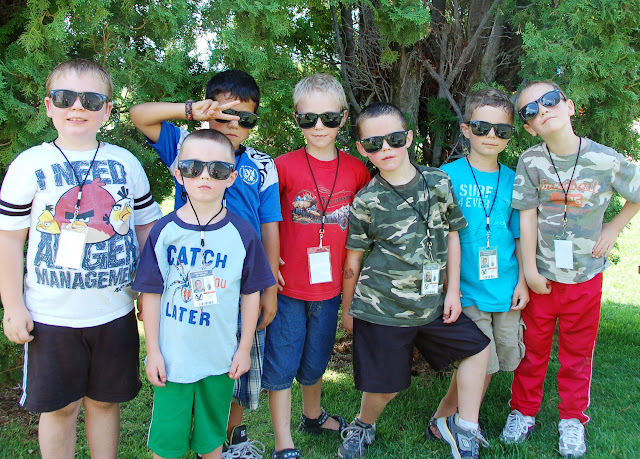 After cake, pizza and gifts, we walked a couple blocks to our neighborhood park, had a water balloon fight and played spy games. Easy, no fuss party... I liked it and so did the kids! 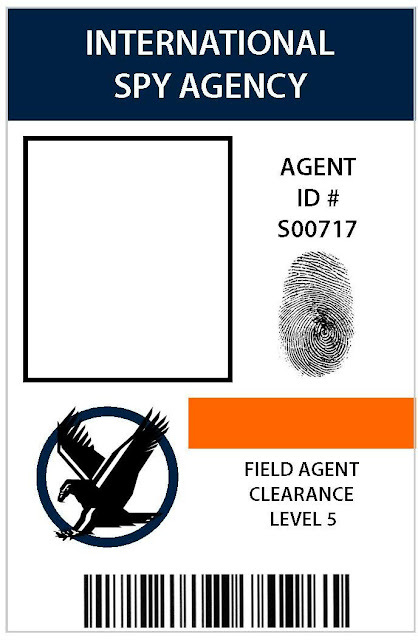 At the party's end the boys all graduated from secret agent training. 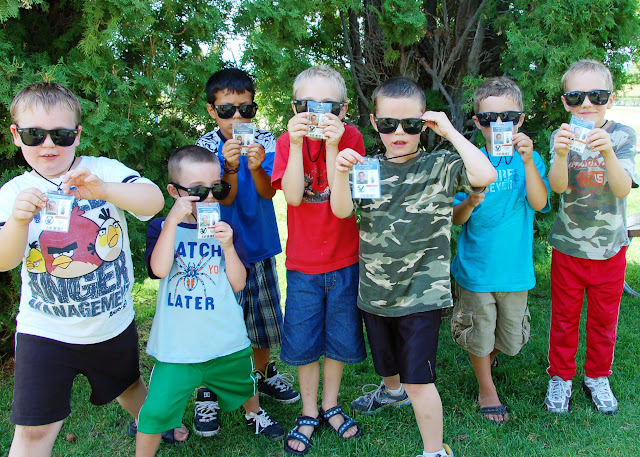 They got spy sunglasses, ID badges (I took their photos when they arrived and made the badges while Mike ran the obstacle course), and their first mission assignments in the form of a candy bar. 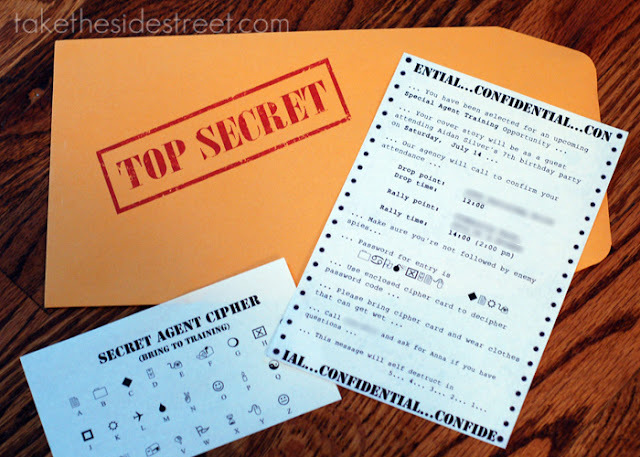 The paper tied to the 100 Grand candy bar read, "Congratulations on completing secret agent training... / Your next mission, should you choose to accept it, is to dispose of this 100 grand... / (thanks for coming to Aidan's party!)" My boys spent the rest of the day running around telling me to freeze and to hand over the money... I'll take that to mean they had a good time! Awesome idea!! I love it! Now I truly believe that I would like for more information about multicrystalline solar panels as well as their work, and so i think to inquire about facebook page to create a great explanation that i can comprehend it clearly. They write the very best texts, which everybody can understand.